Chances are, you probably have some fancy security system installed within your office, perhaps even equipped with highly advanced video surveillance technology or a German Sheppard that John Dillinger wouldn’t even try to get past. You have created a fortress, covered it from head to toe with all state of the art equipment so that nothing can get through, but, at the same time, what are you doing to protect against online threats, How are you preventing your business from the infamous credit fraud, Business credit fraud is a significant problem for both small and large businesses alike and can happen at any moment from anywhere on the globe- no matter how many thermal sensors you have scattered around the office. The good news, though, is that it can be prevented. To help you, we have compiled these simple steps that will ultimately save you time and a great deal of money in the process. You wouldn’t trust your child with a complete stranger now would you, so why would you give away your goods or services to someone you knew nothing about, Business credit itself is rooted in a sense of mutual trust-even the word credit is derived from the Latin credere meaning to trust or to believe-but it is a trust that your business ultimately takes on and a risk that your company alone assumes. To mitigate this risk, you must practice your due diligence to weed out potential perpetrators before they strike. To do this, you might need to do some more in-depth background checks, verify references and finally determine the overall credit worthiness of the person or company that you are hopefully going to do business with. While clearly this process takes some added time and resources, the fact this could eventually save you from business credit fraud in the long run will be well worth the investment. If it smells like a dog, has teeth like a dog and barks, chances are it’s not a cat. In many cases the signs of potential business credit fraud are all staring you right in the face, you just have to know where to look. If you see a customer really quickly racking up huge bills without so much as a phone call or someone making extremely large purchases while at the same time seeming to be in a rush that in itself should be ground to sound the alarm. Another common red flag is if you see a really large transaction following a few “low” ones; they were probably testing the waters to see if you will actually take the bait. The key is to spot the irregularities early and follow up to be sure you aren’t being played. After all, better safe than sorry. It can be as simple as calling the customer directly to confirm the order first hand or making sure that the cardholder is the actual purchaser or the good or service. Checking in with the bank as well can be a great idea, not only to double-check the references of your potential customers, but also to reconcile your own bank statements so that any problems can be rectified early in the process. In cases where you don’t have the customer physically in front of you, you must be particularly vigilant and proactive to make sure that everything checks out. Double check references, validate addresses, check IDs-these seemingly minute details can ultimately help reveal business credit fraud traps before they substantially effect your business. When in doubt, always call! 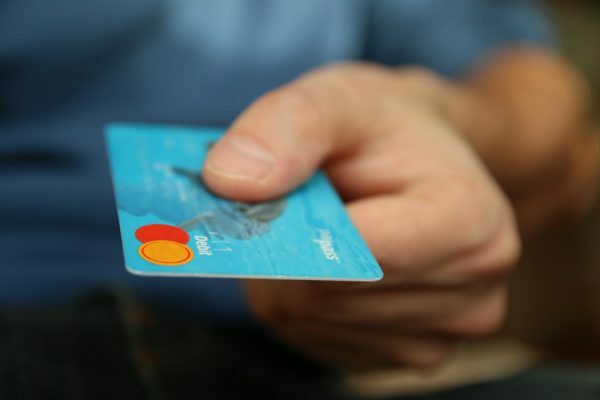 Business credit fraud is a huge problem for both large and small businesses, but it is one that can definitely be thwarted. By being proactive and utilizing professional services that specialize in this area, you will be able to save yourself not only a large amount of money in the process, but also a inexorable degree of stress that would result if this type of fraud did happen to occur. Let’s stop worrying and do something about it.